"My gas fireplace won't stay lit. What's causing it?" This is among the common house repair questions people ask. In addition, this time, I think that it requires a proper answer. Before I proceed, I have to remind you that there is a need to be extra cautious whenever you are dealing with your fireplace. You see, stuff like gas and other combustible materials can be pernicious to your household. They have the potential to raze your house and explode if not handled properly. If you are not an expert or a professional, I recommend that you should try the repair by yourself. It will just worsen the problem by putting your life and property at risk. Always remember that the hazard would be too dangerous for you and your family. Multiple things can cause the problem. If your fireplace malfunctions unexpectedly, you can do several fixes here. The first thing that you have to do is to check if the pilot light of the fireplace is on. If it is not lit, then there is a good chance that the wind or other elements have blown it out. Solving this problem is simple. Just re-ignite or activate the pilot light again. However, before you do so, always check the manual of the fireplace for guidance. It is always great to be on the safer side of things. Just follow the instructions and you can light up the pilot without compromising your well-being. If the pilot light is working fine, one factor that you can look it is the thermocouple. Most of the time, a faulty thermocouple causes the gas fireplace to malfunction. Specifically, the thermocouple is a type of sensor made from metal. It usually reacts to the flame produced by the pilot flame, which in turn, notifies the gas valve that the pilot light is functioning. Under this mechanism, opening the valve is safe, which enables the smooth flow of gas. Another probable cause of a faulty gas fireplace is the thermopile. It is a small metallic probe, which role is to convert the heat into electricity. This particular component allows you to open the valve of the fireplace, especially if you are using a remote control or a switch. If both the thermocouple and thermopile are suffering from broken parts, repair is necessary. Do not throw them. After all, the role of these devices is to be subjected to the flames directly. Therefore, it is completely natural if you can see carbon deposits building up. Their functionality lowers as these elements continue to eliminate. Thermocouple and thermopiles are relatively inexpensive. However, you can always save yourself from the hassle of buying by cleaning them instead. It is also possible that the problem in your gas fireplace is due to the presence of moisture in the gas pipe. Too much moisture can hinder the pilot light from functioning properly. Gas lines have drip loops on them. The latter is the obvious intersection of the lines, which role is to prevent moisture from building up. There are some instances that the drip loop does not work the way you want it to be. Sometimes, it let the moisture breach the pipe, resulting in the dilution of gas. Once the gas is diluted, the pilot light will not function properly. Fortunately, dysfunctional drip loops can be easily replaced. Of course, the burner of the fireplace is susceptible to clogging. It is one of the apparent reasons why the fireplace is not receiving the gas to sustain the fire. Specifically, the burner is located under the pilot light and the thermocouple. It happens to pass through. When the holes of the burner are clogged, gas will not be able to enter smoothly. You can fix this problem by cleaning the clog with the use of water or air compressor. If you are going to use water, make sure that the burner is properly dried. 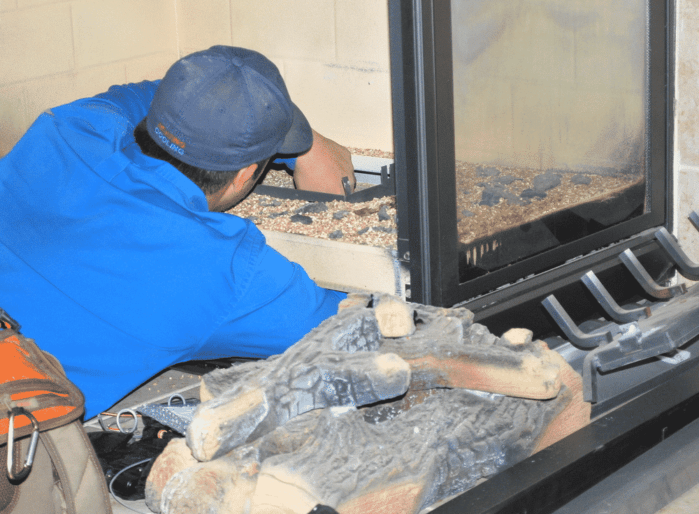 If your gas fireplace will not stay lit, you should inspect the following components that I have mentioned and see if they are properly working. If they are not, then appropriate measures should be conducted. Try cleaning first, if it can solve the problem. However, if physical damages have been incurred in the parts, better replace them already. 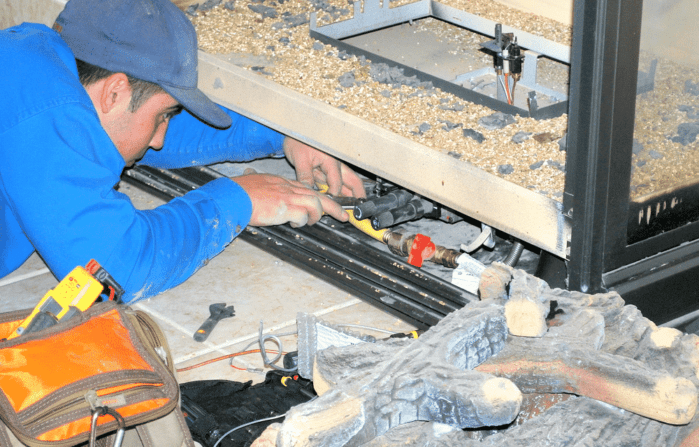 Again, you should contact professional services for these matters, especially if you do not have the technical expertise to deal with your gas fireplace. In this way, you can avoid accidents and disasters from happening. Did you learn from this article? If you have any question or suggestion, feel free to drop them in the comment section below.